Our aim is to produce bold, ambitious, ground breaking formats. Telling stories expressed with flair and intelligence. 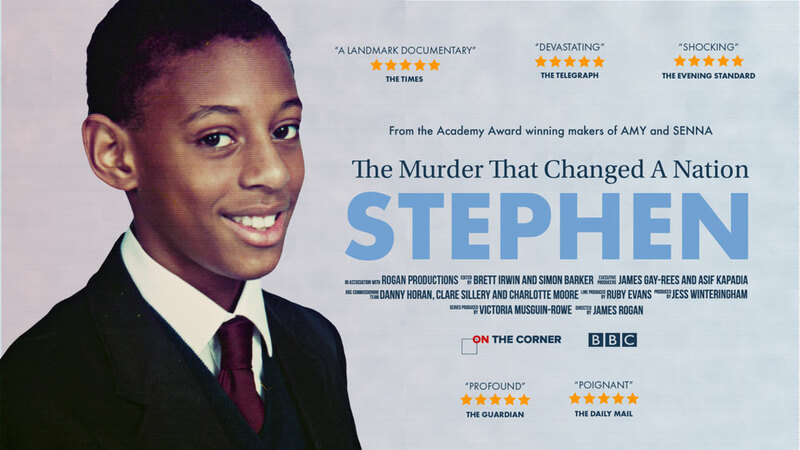 In a landmark documentary series from Academy Award winning documentary makers James Gay-Rees and Asif Kapadia, BBC One will examine one of the most famous cases of 20th century Britain, the murder of 18 year old black student, Stephen Lawrence by a group of white teenage boys. What followed was one of the longest, most complex and mishandled murder investigations in Metropolitan Police history allowing the suspected killers to evade justice for almost 20 years. What made Stephen’s case so different is the extraordinary determination and absolute refusal of Stephen’s parents, Doreen and Neville Lawrence, to accept the establishment’s decision. On the 25th anniversary of Stephen’s murder, with unprecedented access, this eye-opening series will explore the force of their indignation. Still being felt in Westminster to this day, the laws on double jeopardy were partially repealed and the Macpherson Report called it ‘one of the most important moments in the modern history of criminal justice in Britain’. The Home Secretary at the time, Jack Straw, called the inquiry “the single most important decision I made as Home Secretary”. For the first time BBC One will be looking at every aspect of the case including the subsequent inquiries, pulling it into one complete timeline and asking the same relevant questions of a contemporary Britain. The Stephen Lawrence Story (w/t), a 3×60′, was commissioned by Charlotte Moore, Director, BBC Content and Clare Sillery, Head of Commissioning Documentaries. The Commissioning Editor is Danny Horan. Produced by On the Corner Films, the Executive Producers are James Gay-Rees (2016 Academy Award winner for Best Documentary Feature – Amy and BAFTA winning – Senna) and Asif Kapadia (2016 Academy Award winner for Best Documentary Feature – Amy and BAFTA winning – Senna). Directed by James Rogan (One Night In 2012, Amnesty! When They Are All Free) and Series Produced by Victoria Musguin-Rowe (Conviction: Murder At The Station, Love & Hate Crime).